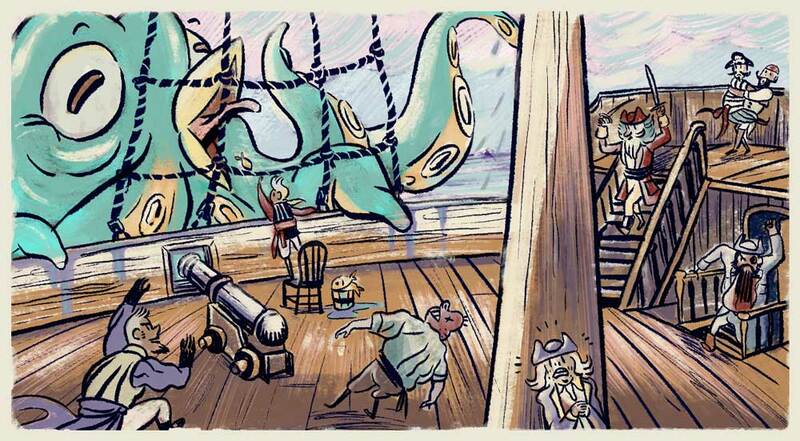 A concept illustration for a pirate themed children's book. 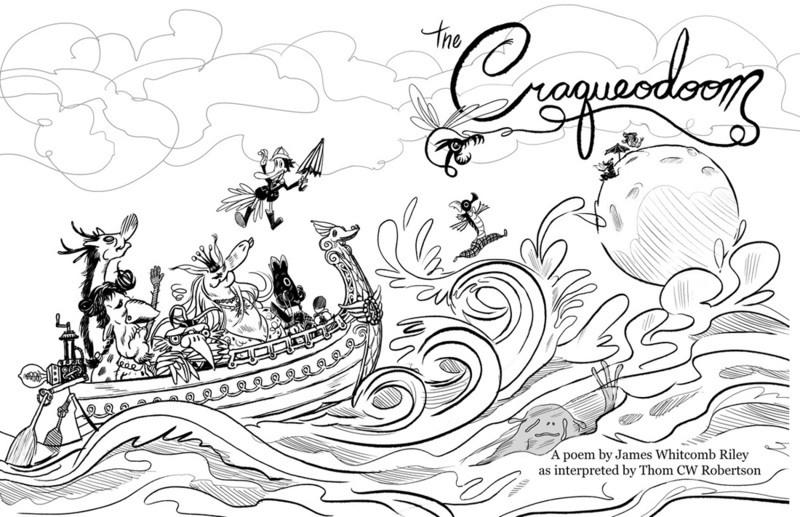 Cover design for a children's book based off James Whitcomb Riley's poem, Craqueodoom. The three images below are finished illustrations for The Craqueodoom book. 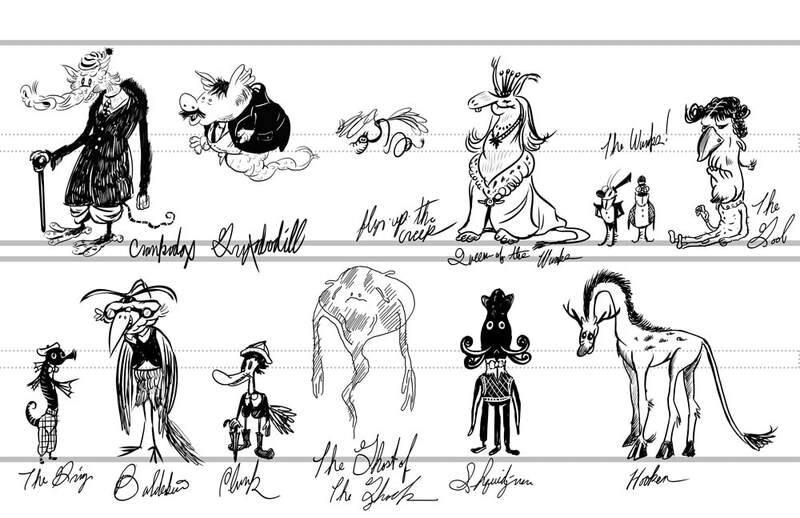 These are designs for Friends of the Minnesota Orchestra's Kinder Konzert class take-home booklet. The Narrator, top left, and the musicians pictured were printed and perforated so they could be removed and played with by the children as stand-up figures. Above: An illustrated abstract of the cube wall at Orchestra Hall in Minneapolis. Included in the booklet, it formed a backdrop for the stand-up figures.